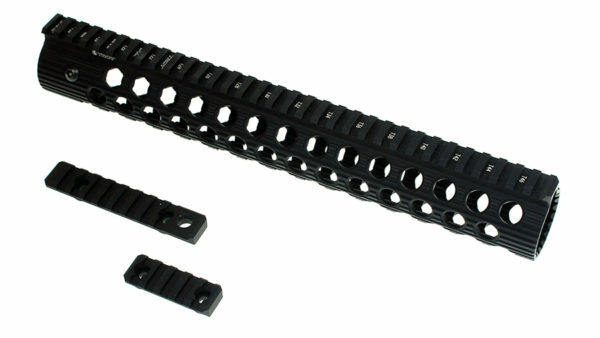 Improve your .223/5.56 setup with one of best handguards out there: the Troy Industries 13″ Alpha BattleRail. Contracted by MMC Armory for their MA Tactical Line, it is proudly manufactured in the USA by Troy. 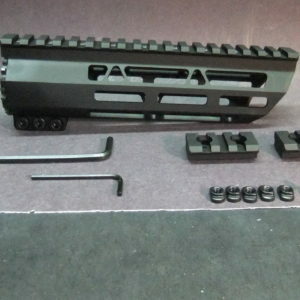 An all in one package, the Alpha Battle Rail is a modular, free floating handguard that incorporates light weight, strength, simplicity and versatility into a slim, aesthetically pleasing design. The aggressive CNC patterns of large circular cuts not only trim the weight down extremely (only 15.75 oz! ), but they also help disperse heat more efficiently, allowing for rapid cooling of the rifle. In addition, the circular cooling holes will also accept Troy’s Squid Grips! Building off of the legendary TRX Extreme design, the Alpha Rail maintains the distinctive look and feel of the original, but utilizes a vastly improved low profile locking mechanism for installation onto the host rifle. The new locking system makes use of the factory barrel nut, meaning its removal is no longer necessary. 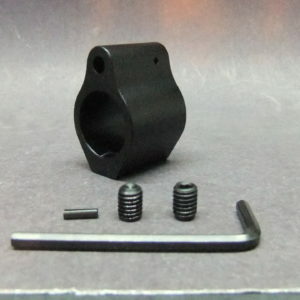 However this package also includes an Alpha Barrel Nut for brand new builds. 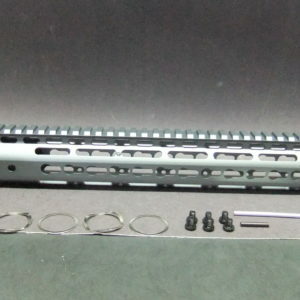 The Alpha Rail is constructed of 6061-T6 aircraft grade aluminum that is finished with a mil-spec hard coat anodizing for durability. With a full length top rail and the ability to accept modular rail sections (Troy’s own design, neither Keymod nor MLOK) along the handguard’s circumference, the Alpha Rail is highly configurable by the end user and able to accommodate any number of tactical accessories with ease. 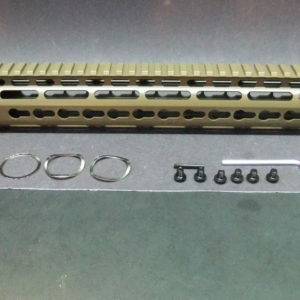 Includes 2 piccatiny rails where 1 also has a quick disconnect QD hole. Modular design that accepts Troy’s proprietary rail units.